The Tempo Pro is a serious blaster on the race course but it is forgiving enough for less experienced riders to cruise around comfortably. Its straight rocker line, vee hull with a hint of double concave, edgier rails, flat to hollow deck and parallel outline make it an uncompromising board in acceleration and top speed but not letting down those looking for a smooth, controlled ride. Want to have fun on the weekend or lead the pack on the race course? The Tempo Pro does it all. 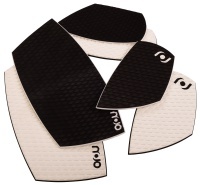 All prices are with standard graphics, standard footstraps, footpads and without fins. Tail shapes only slightly effect the performance so you may choose the one you like its look the most. 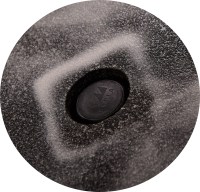 All MOJO boards come with custom made high quality fittings and accessories. Our authorized forwarder will deliver your board to your doorstep at these flat rates across Europe. We will make sure to get the lowest possible shipping cost outside Europe as well. We take care of all the boards we make therefore extendted warranty periods are also available. 12 month general warranty for Beat tech and Soul tech constructions. 18 month general warranty for Rock tech constructions. A survey will guide you through the different options of designing your board. We are willing to answer all your questions.